Sebastian Vettel says his new Ferrari team-mate Charles Leclerc will push him hard throughout this season. Leclerc, who has replaced Kimi Raikkonen, was told to stay behind fourth-placed Vettel in the closing stages of the Australian Grand Prix. Vettel said: "He'll put a lot of pressure on me the whole season. "It will be very close. He is very talented. I am sure we will have tough and tight battles but more than that I hope we have a lot of fun together." Leclerc, 21, has been drafted into Ferrari in only his second season in F1, after starring on his debut for Sauber last year. At the season-opening race in Melbourne on Sunday, Leclerc qualified two places behind Vettel after making an error on his final qualifying lap. But in the second stint, after making a later pit stop than Vettel, Leclerc closed a 12-second gap to the four-time world champion before asking on the radio whether the team wanted him to hold position and not try to pass his team-mate. He was told to stay in fifth place. 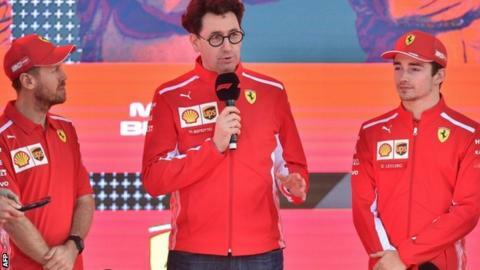 Ferrari team principal Mattia Binotto said he was "happy" with Leclerc's performance on his debut. "If we judge his entire weekend, it was a pretty strong one," Binotto said. "His qualifying wasn't perfect; he is aware of it. He drove well all through Q1 and Q2, maybe not perfectly in Q3, but generally speaking he had a good weekend and his second stint he was performing well." At the start of the race weekend, Vettel had said the two Ferrari drivers were "free to race", even though Binotto had said the German would have "priority in certain situations". Asked why they had asked Leclerc to hold position in the closing laps, Binotto said: "I don't think it was really a decision - it was not a difficult one. 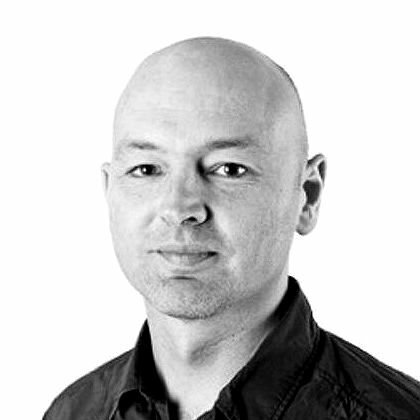 "Sebastian was managing his pace because of poor grip and bringing the car home. Charles did a great second stint. But 10 laps to go there was no reason to take risks. We were not battling for the first position, but fourth and fifth. Scoring points was the main priority today." Ferrari's performance over the weekend was a disappointment, after they had appeared to have the fastest car in pre-season testing. Vettel was 0.7secs slower than Mercedes driver Lewis Hamilton's pole position time, and the Ferrari drivers finished nearly a minute behind the race winner, Hamilton's team-mate Valtteri Bottas. Vettel and Binotto said they did not yet know what had gone wrong in Australia to cause the car to have less grip and poor balance compared to in pre-season testing in Barcelona. "Clearly we are missing something," said Vettel. "Right now we don't have an answer. We need to get back and have a good look. But I am sure we will find something because we know the car is better than what we have seen. "We have a good car, we know it - this weekend we didn't and overall we were not competitive enough but we will be back."